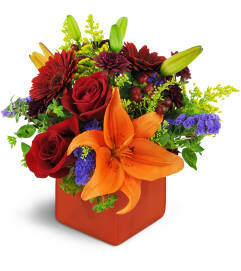 Give thanks to someone special - or celebrate the season - with our Harvest Burst bouquet! 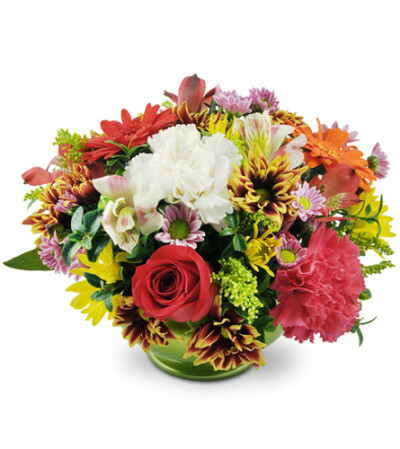 Featuring robust red roses, multi-colored bursts of mini gerbera daises, brightly-blooming carnations and more, this arrangement is a true feast for the senses! 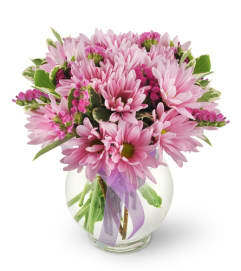 Makes a dazzling centerpiece, as well as a vibrant addition to any home or work space! A cheerful arrangement of three red roses, mini gerbera daisies, carnations, alstroemeria, and chrysanthemums in a green pedestal vase.